authentic self-expression through the arts. 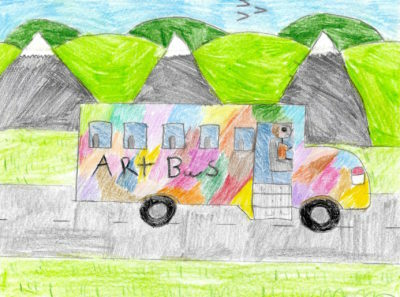 The Arts Bus is a traveling pop-up theater, music & dance stage, ceramic/paint/textile studio, library and creative safe space. 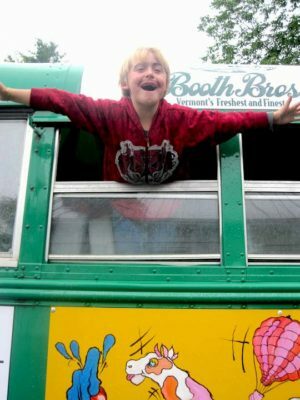 Its creation responded to the challenge parents in rural towns face attempting to transport children to educational and cultural activities at distant sites by bringing the visual, performing and literary arts to kids where they live. 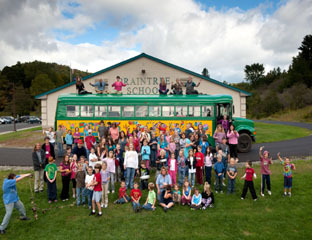 The impact of the Arts Bus Project seeks from its work is (1) improvement in the public perception of the importance of the arts for children, (2) increased public awareness of the value of calling on the region’s many excellent artists and cultural institutions as mentors and resources for young people, and (3) greater commitment of educators and community program directors to integrate the arts into the core of school curricula and community life.